How do I know if I am eligible for DES? WA – Leading national Disability Employment Services (DES) provider atWork Australia and local provider, Great Southern Personnel (GSP), have entered into an agreement to deliver Disability Employment Services in the Great Southern region of WA, under the atWork Australia brand. GSP have been operating in Albany, Denmark, Bunbury and Katanning since 1983 and are well respected within their local community. Tracy Neilson, CEO of GSP said the provider had been actively looking for the right partner for the ongoing delivery of DES across the region. “atWork Australia have a passionate commitment to improving people’s lives through employment and this resonates with the core values and beliefs of GSP,” she said. Group Executive – Employment Services for the Work Health Group, Michael Kolomyjec, said the agreement expanded atWork Australia’s presence in the Great Southern and their ability to provide employment support to people living with disability. “atWork Australia is delighted to welcome 14 talented and dedicated team members to our business. Notably, people with disability, illness and injury will be dealing with the same passionate team in the same locations with the benefit of our national resources and years of experience.” Michael said. The transition of services will be effective as of 11 February 2019. These services will be delivered by the same people in the same locations with no disruption to clients. 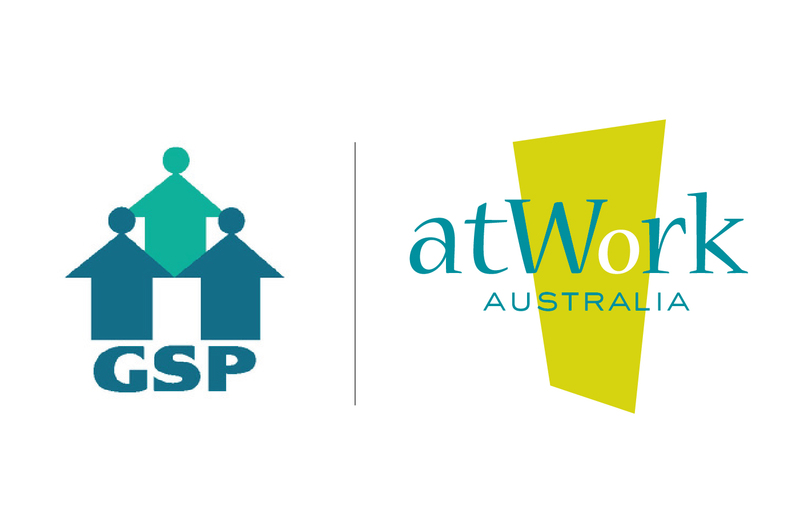 In the coming weeks, the existing GSP offices will be branded as atWork Australia for our Disability Employment Services. GSP Workforce is a non-profit organisation established for the purpose of assisting people with disabilities, injury or health condition to establish careers of their choosing in open employment. Whilst also providing a capable worker, allowing the employer to focus on running their business. GSP Workforce covers all employees basic Safety Equipment, Pays, Sick Leave, Annual Compensation and Public Liability Insurance. GSP Workforce services include but are not limited to: Gardening, Cleaning, Vacate Cleans, Car Cleaning, Window Cleaning, General Labour and Administration, ensuring a professional service is always provided at competitive rates. The Work Health Group supports over 25,000 Australians a year to build a better life through work and health. We do this through atWork Australia employment services, as well as our workplace rehabilitation providers and advisory services. Our team of around 850 committed employment, health and support specialists use their talents to help others realise their potential. Delivering localised expertise in more than 200 locations across Australia, we are wherever our customers need us most, when they need us.